In July, Breitbart News spoke to various analysts and experts who believe Muslim terrorists from the Fulani herdsmen group and Boko Haram are competing for the title of the most deadly terrorist group in Nigeria. The latest Global Terrorism Index released by the Institute for Economics and Peace think-tank early this month, revealed. In Nigeria in 2018, there has been a dramatic increase in violence involving Fulani extremists even as deaths committed by Boko Haram are falling. … Terrorist activity in Nigeria is dominated by two groups: Boko Haram and Fulani extremists. In 2017, Boko Haram was the deadliest group in Nigeria, with both terrorism deaths and attacks increasing over the prior year. Deaths increased by 34 percent to 1,022 while attacks increased by 62 percent to 222. The Fulani extremists were less active in 2017 than the prior year with terrorism deaths dropping by 60 percent to 321, and attacks dropping by 51 percent to 72. However, preliminary data for 2018 suggests that there has been a significant increase in violence committed by Fulani extremists. Together, Boko Haram and the Fulani extremists are responsible for 63 per cent of terror attacks and 88 per cent of terror-related deaths in Nigeria. Although Boko Haram mainly carries out its attacks in Muslim-majority regions, the group is known to target Christians, though it has also sent child suicide bombers to attack Shiite mosques and populated marketplaces of mixed religious populations. Meanwhile, Fulani terrorists primarily go after followers of Christ. According to Open Door’s latest annual World Watch List, Nigeria is among the top 15 worst countries for Christian persecution. Nigeria’s Fulani ethnic group are “herdsmen” competing over resources with predominantly Christian farmers, particularly in the country’s Middle Belt Region. In 2018, clashes between Muslim Fulani herders and Christian-majority farmers from the Berom ethnic group in Nigeria, Africa’s most populous country, intensified, prompting the Christian Association of Nigeria (CAN) to accuse the Muslim group of committing genocide. 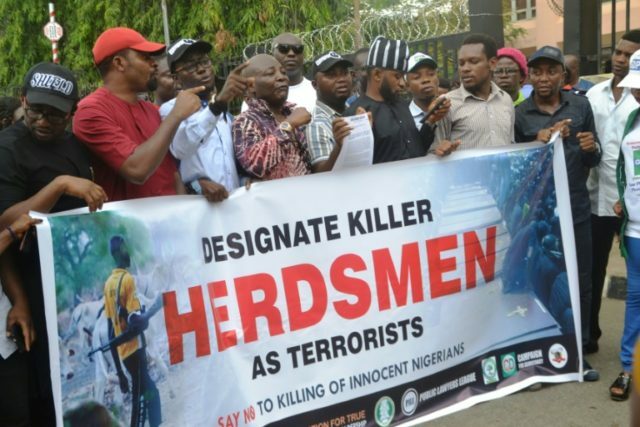 This year, the Miyetti Allah Cattle Breeders Association of Nigeria (MACBAN), the top pro-Fulani group in Nigeria, justified the heinous atrocities against mainly Christian farmers, calling the attacks “retaliatory” and equating the life of a human being to that of a cow, the pro-Christain World Watch Monitor (WWM) noted. Fulani herdsmen often accuse the Christian farmers of stealing their cattle. Echoing other analysts, CAN blasted the Fulani rhetoric painting the fatalities as “revenge killings” over the theft of cattle. Critics have accused Nigerian President Muhammadu Buhari, who reportedly shares his ethnicity with the Fulani, of downplaying and even condoning the attacks by the Muslim group. Some Christian leaders and experts urge followers of Christ to rise and defend themselves against the Fulani threat. According to the CIA World Factbook, about 52 percent of the Nigerian population is Muslim and 47 percent Christian.